First limited edition in digipak and with 4 exclusive bonus-tracks! Four years after the release of their last album “Companion in Crime“, Funker Vogt are finally back. Along with their new singer, Chris L.(Agonoize/The Sexorcist), the band around Gerrit Thomas and Rene Dornbusch proves again that they still belong to the top of the EBM- and industrial-scene. The new material contains a lot of excellent club hits: Songs like “Tanzbefehl“, “Phönix“ or “Kampfbereit“ as well as the new hymn and first single off the album „Der letzte Tanz“ will soon head to the clubs. But the fans will also discover calmer, almost melancholic tracks like “Für immer“ or “Armed & Dangerous“. 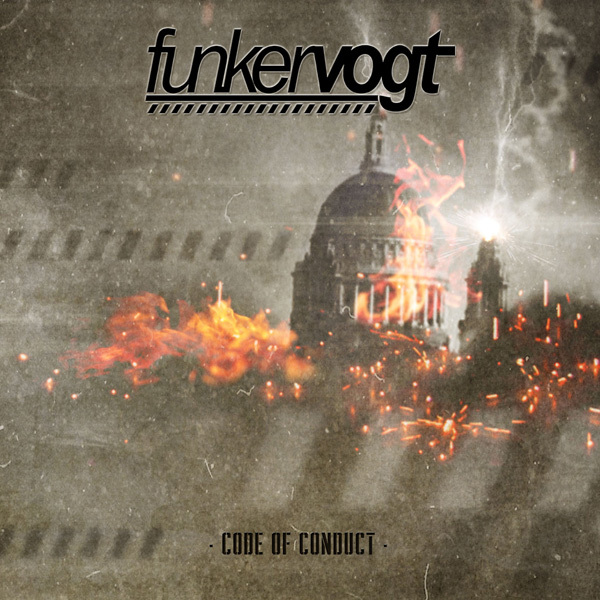 Funker Vogt have always been part in the who is who of the dark electro scene and with the new single and album this will not change in the future. Funker Vogt present themselves more complex and more vital than ever. Funker Vogt issues the command to dance!